Pigs sing to their babies. Have you ever had a meal that tasted so good it was worth stealing a baby from their mother as she is singing to him and soothing him? Moms of many species will cry for days when their baby is taken or will walk miles to search for their baby or will injure themselves trying to save him. Why would we ever purposely put a mother in this situation? As I write this with my son cuddling next to me on the couch, I wonder why I was so lucky to be born the right species. Why have I been given the freedom to love and care for my son, watch him grow, and learn from him as much as I teach him? Why are mothers who love their children as much as me not given that choice? Sometimes I am at such a loss when I imagine these grieving mothers. Though I usually spend Mother’s Day thinking about my mom and other moms, this year I am sharing my own story, as a mom. I often feel like I just became a mom yesterday, but it has now been over a decade since I first met my baby. I don’t think I’ll ever have exactly the right words to describe this experience. I believe my husband and I read thirteen pregnancy books before my son arrived. We were so excited. We wanted to do everything right and we just couldn’t think about anything but him, so reading books together about pregnancy and childbirth filled every night for us. One suggestion I read over and over was how important it is to hold your baby skin-to-skin, right after he comes out. We desperately wanted this experience of childbirth to be as peaceful and non-traumatic for him as possible. We wanted him to know that even though he was no longer in the womb, we would continue to provide the safest, most nurturing environment possible and we would always love him unconditionally. Childbirth was a long and emotional process. There were a few complications and it took all my strength not to scream at the top of my lungs at several of the nurses and doctors. After they said they needed to give him an antibiotic before he was born, I became enraged when it had been ten minutes and they had not returned with the antibiotic. I could not believe that my baby was not their immediate priority at every second and the fear of him being hurt in any way was tremendous. Obviously, this wasn’t my rational, patient, logical self, evaluating this situation. It was an incredible dose of hormones, combined with stress and exhaustion. He eventually got the antibiotic and later made his way out into the world. Though I wanted to hold him right away, they said they needed to take him to the other side of the room for a minute to check him out first. I was deeply saddened that I couldn’t hold him, but was glad there would be a team of people making sure he was okay. So I was lying there by myself and a crowd of people were all huddled around my baby, who I had not seen or touched yet. I kept calling from across the room, “Is he okay? What’s going on? When can I hold him?” I needed him to know his mom was still with him, that he was not abandoned, that I would always be there. I needed to comfort him after this crazy experience. I needed him to see and hear and feel and smell me. But no one was answering my questions for what felt like an eternity. This may have been the hardest moment of my life. Ten years later, I still have tears running down my face when I think about it. And yet, it was probably just a few minutes before I got to hold him and was assured that everything was fine. 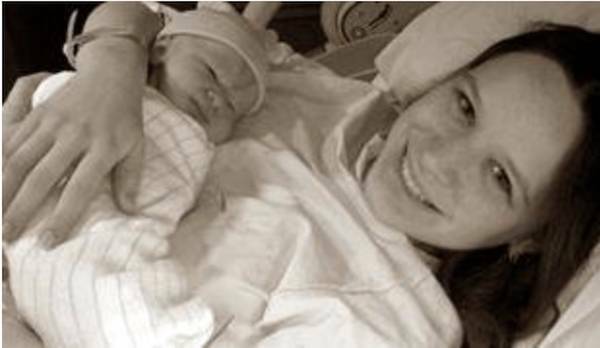 Those mom hormones, especially immediately after birth, are incredibly powerful and typically overpower all other thoughts and emotions. I didn’t get to have that immediate first connection I desperately wanted, but at least I got to breastfeed my son. What an incredibly magical experience! I can never truly describe the connection that brings between mother and child- the way he looked up into my eyes, the way his body and mine immediately relaxed after a stressful day, the way I could give him what he needed most in life with no tools, no technology, nothing but my own body. Breastfeeding has to be one of the coolest things our bodies do. One part of the process is that the mother’s body absorbs her baby’s saliva and detects any illnesses the baby may be fighting. The mother then creates antibodies in her milk to feed to the baby to help fight that particular illness. How incredible is it that milk is tailor-made for one specific baby down to every last detail? 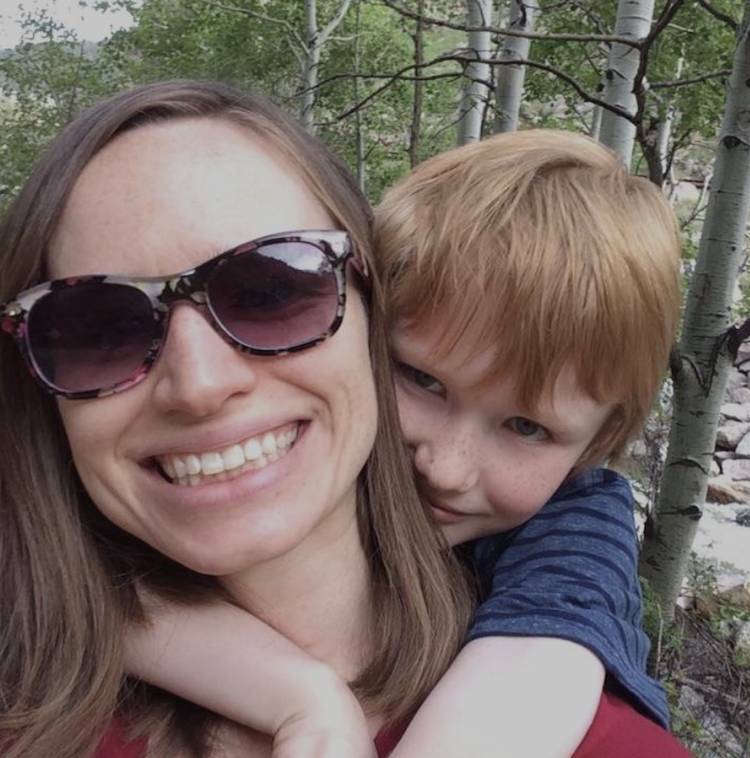 I breastfed my son for longer than our society typically tells us to because it was so soothing for him and me, especially as he had to deal with the dysregulation of his autism. It also seemed to do just what it needed to regarding illness. In all the years I breastfed him, he had one very minor cold- no ear infections, no strep, no flu, nothing else. I will forever be grateful that I continued for so long. I am completely heartbroken and haunted by the fact that so many moms aren’t granted the luxuries I have had. I was upset about not getting to hold my baby for ten minutes. Some moms never get to hold or see their babies. Some have them immediately stolen from them. If I am still upset ten years later about having ten minutes without my baby, what must it be like to have your baby taken away for a lifetime? With all those hormones after birth, how could you survive such a horror? 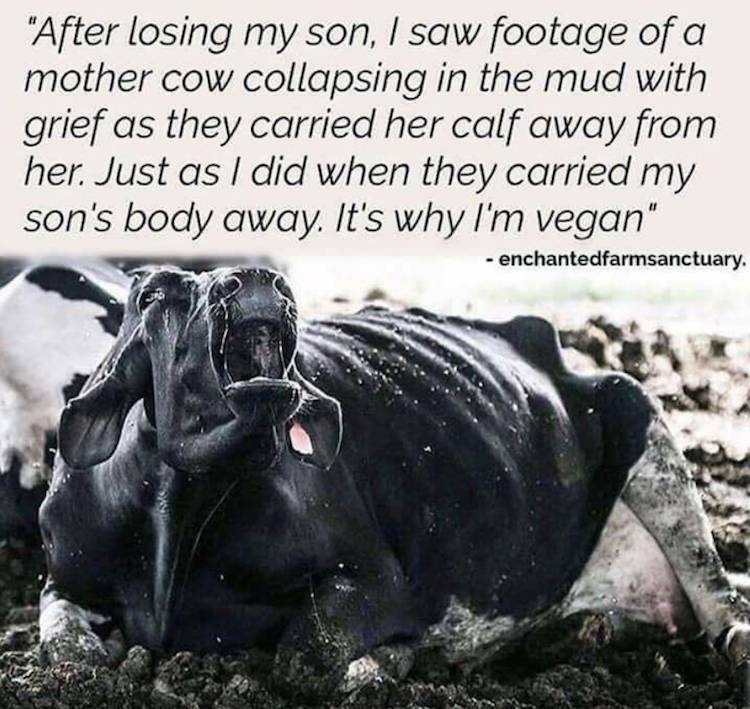 I know a few human moms who’ve experienced this, but there are billions more nonhuman moms who endure this pain multiple times in their lives. 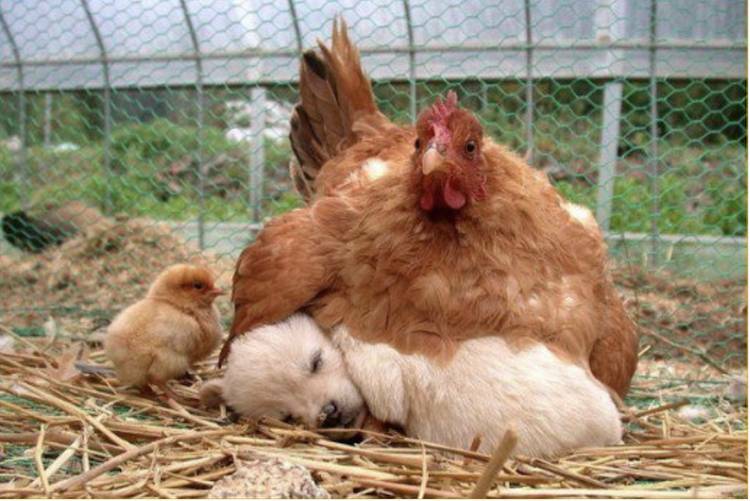 Most nonhuman moms have the same hormones and emotions as humans, especially when it comes to caring for their babies. Our human appearance, rituals, interactions, physical appearance, etc. mean nothing in that moment when our baby arrives. We are all animals and our need to care for our babies transcends species. Read about Farm Sanctuary’s The Someone Project. We get this same huge dose of hormones when our baby arrives to make sure we love and care for them. We all feel this immense connection with our babies. We all feed them and keep them warm and safe. We constantly look for ways to soothe them and help them navigate a strange world. We are all constantly fearful of our child being hurt and are beyond devastated if he is taken away. Although, this devastation might be slightly worse for nonhumans. Most nonhumans likely have absolutely no idea why their beautiful, perfect baby is being stolen from them. No one is able to explain to them that their baby is being taken away to be eaten by humans or so that their milk can be given to humans. Although, if nonhumans spoke English, would we even then be able to explain that to them? Humans have zero need for flesh and secretions of another species, but we go ahead and separate moms and kill babies anyway? How could we tell a grieving mother that? Imagine you are a cow mother. Most often your baby is sent to the veal industry, tortured, and killed. As you’re grieving, you are hooked up to a machine so that your milk can be pumped almost non-stop for humans. A problem arises, though, because once your baby has been gone for a while, you eventually stop producing enough hormones to make milk for a machine. (I’ve experienced this first-hand. Pumping my milk with a breast pump became increasingly difficult the longer I was away from my son, as a machine is just not the same as my child.) So, as a cow mother, you are given extra hormones to help with this for a while, but eventually, you have to have another baby in order to get your milk supply back. You are forcibly impregnated, spend months anxiously waiting to meet your baby, and when he arrives, once again, he is stolen, for no understandable reason. And then back to the milking machines you go- no happy days of grazing in the sunlight or teaching your baby about the world or feeling the incredible connection of feeding them with your own body. This cycle continues over and over until you are no longer able to give birth or produce milk. Then, you are killed. All of this for human adults to drink the breast milk of another species- the milk that belongs to your specific calf, who grows from 90 to 500 pounds in the first year and has a completely different digestive system from humans. It’s so clear that your milk is not meant for humans, yet they continue to ignore your pain and steal your milk, your baby, your freedom, and your life. As I write this with my son cuddling next to me on the couch, I wonder why I was so lucky to be born the right species. Why have I been given the freedom to love and care for my son, watch him grow, and learn from him as much as I teach him? Why are mothers who love their children as much as me not given that choice? Sometimes I am at such a loss when I imagine these grieving mothers. But there is one silver lining. I was given the ability to speak the same language as those who oppress nonhuman animals. I live among them and interact with them daily. They are not unreachable monsters on the other side of the world. They are my family and friends and co-workers and neighbors. They are people with beautiful gifts and terrible flaws just like me. They are victims of systems and social conditioning, just like me. And every day, I am in the position to tell them the stories of survivors like Sophie, Juniper, Scarlett, Annie, or Belle. And each time I do, I break down a few barriers, plant a few seeds, and share knowledge or experiences that were once left in silence. I get to collaborate with like-minded humans all across the globe on the most effective and creative ways to use our voices to fight speciesism. I can turn mundane daily tasks into opportunities to speak for mothers and babies. I learn so much through intense opportunities to consider the perspective of the human or nonhuman in my life at that moment. I will leave this world knowing that some of the mothers who suffered this immense loss didn’t get left forever in silence, because I used my voice. And now I’ve learned that my most important, beautiful, emotional, connective role, after being a mother to my son, is using my experience as a mother to honor all mothers and create a better world for their babies. If you are a mom, if you have a mom, if you love a mom, if you know a mom, if you need a mom- use your love and joy and pain and fear to expand your care and advocacy for moms of all kinds. Start today, on this Mother’s Day, and keep going until we achieve total animal liberation.